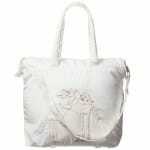 This roomy handbag by Alviero Martini is large and made ivory. 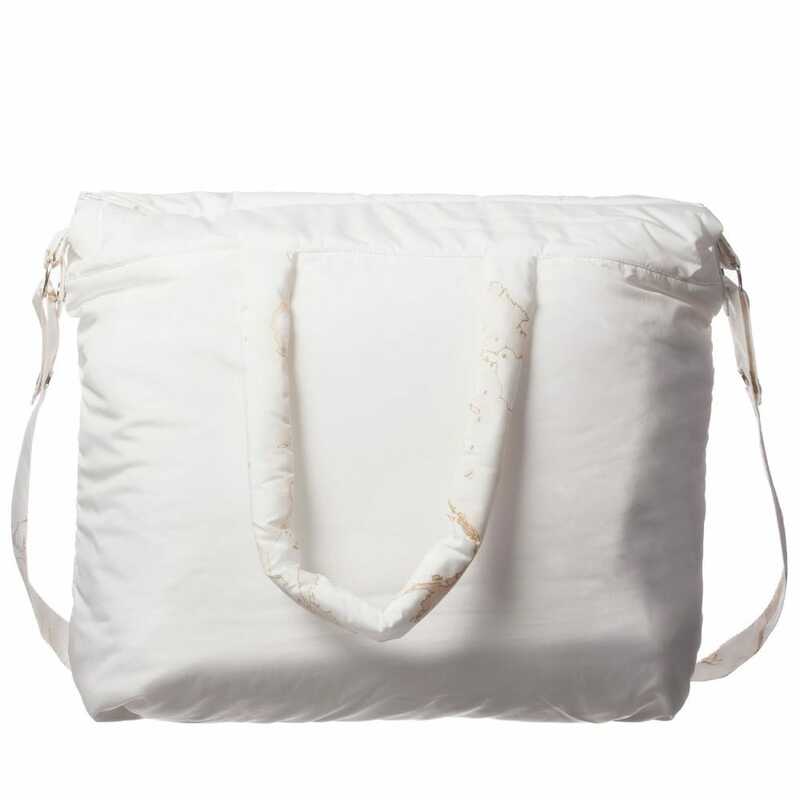 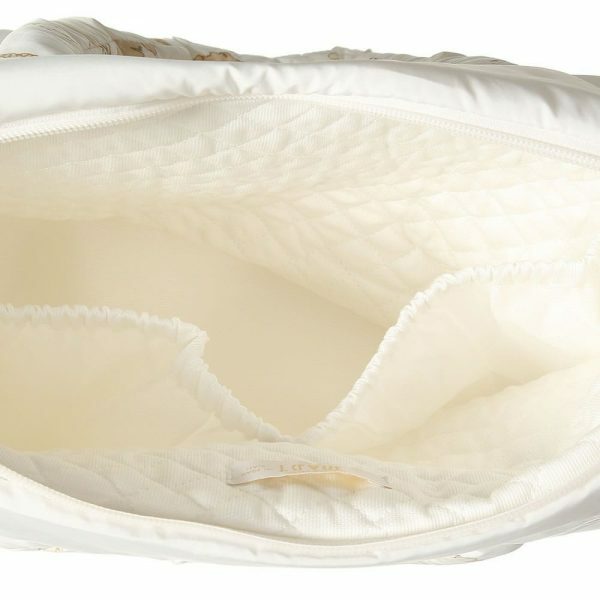 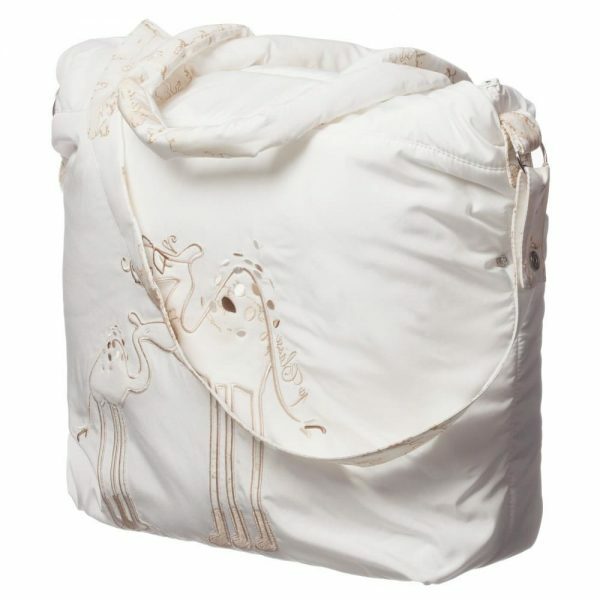 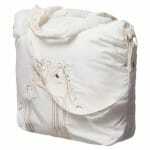 It is designed for baby changing items and has two soft handles and a shoulder strap. 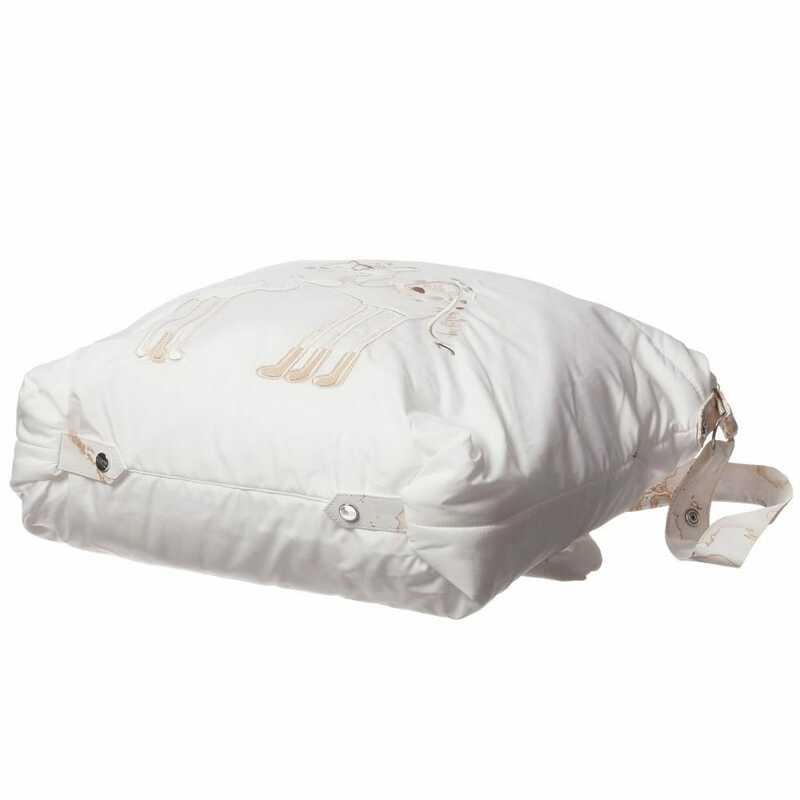 It is made from lightly padded polyester, the lining is made of soft cotton. These vintage map trims and adorable camels on the front make the bag very cute. The items in this bag will be perfectly organized with the help of a main inside compartment and two pouch pockets. The facts that this bag can be machine washed (40*C) and the shoulder strap can be detached make it very practical.